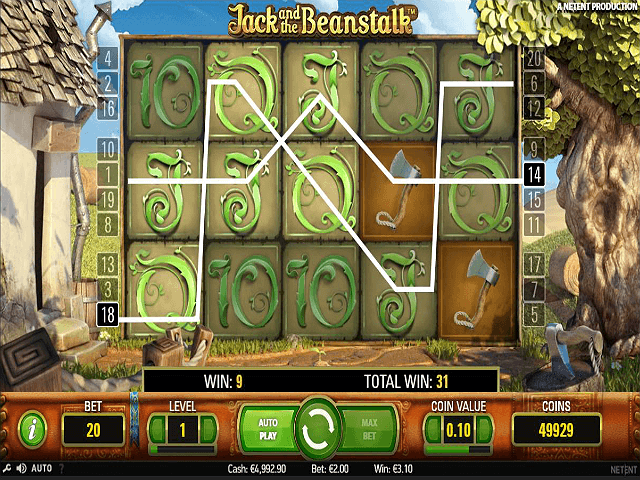 Once upon a time in a land far, far away, NetEnt's design team created the Jack and the Beanstalk online slot game. Filled with cash and fairytale wins, this game is perfect for those who love a good narrative. Before we let you fly to a world where prizes have replaced magic beans, you'll need to know the rules. So, if you're ready to learn a little more about this 3D spinner, check out our Jack and the Beanstalk slot review and escape to jackpot wonderland. Play Jack and the Beanstalk for Real Money! 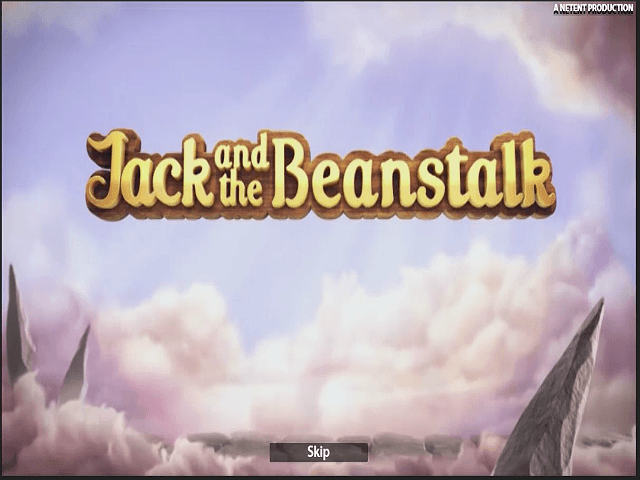 Part of NetEnt's fairytale series featuring the likes of Hansel and Gretel and Red Riding Hood, Jack and the Beanstalk is a 3D video slot that takes you on a journey. 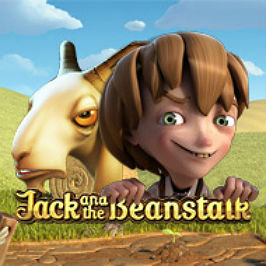 The moment you load up the game, you'll discover Jack and the Beanstalk's design looks like an animated movie. The soundtrack features tweeting birds to set the scene, providing a truly atmospheric experience. 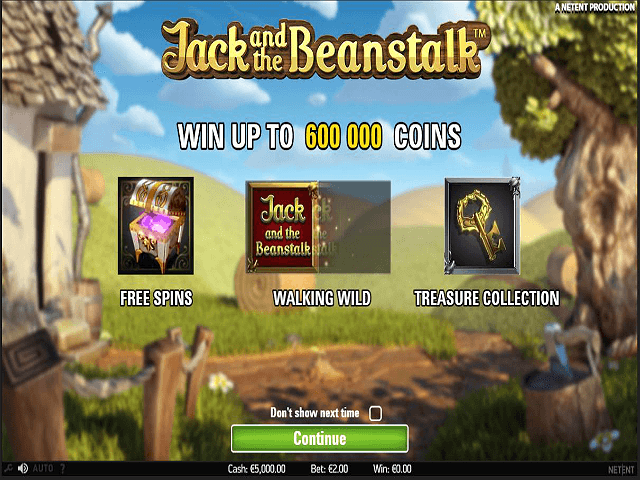 From this, Jack and the Beanstalk online slots will spin you through a world of characters (Jack, giants, an axe and more) that unlock prizes topping 1,000X your line bet. This video slot looks fantastic and the familiar storyline will keep you engaged throughout. When it comes to ways to win, however, it's Jack and the Beanstalk's special features that will really take you to fairyland. Roll in three or more scatters (treasure chest) and you'll get 10 free spins. Roll in three more during your bonus round and you'll get a further five free spins. In addition to substituting for all symbols except the scatter and key, Jack and the Beanstalk wilds will skip from reel-to-reel. Any time a wild lands in view, you'll get a free respin and the wild will move to the left. This dynamic will continue until the wild isn't in view any more. What's even better about this special feature is that you'll have any wild wins multiplied by 3X. 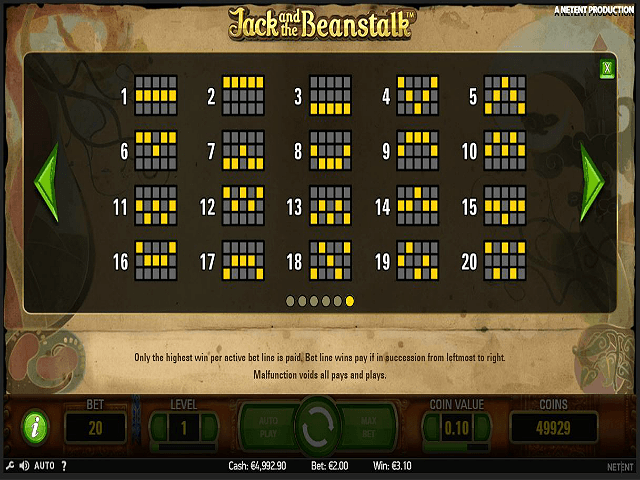 The most impressive symbol inside Jack and the Beanstalk online slots is the key. Potentially appearing on the fifth reel during your free spins, this symbol will unlock the following wild features: three keys will give you a double stacked wild. Six keys will give you a triple stacked wild. Nine keys will give you the ultimate, cover-all wild. Jack and the Beanstalk might have been all about magic beans, but this NetEnt slot offers grown-up magic of it's own from as little as £0.20. Share this Jack and the Beanstalk Review today! If you like Jack and the Beanstalk, you'll love these slot titles too!